It is not necessary to buy cute containers for storing small things. 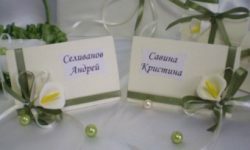 You can and yourself turn an absolutely unnecessary thing into an elegant casket, using the technique of decoupage. A simple shoe box can be transformed into a work of art, with a little skill and imagination. For beginner needlewomen they advise taking a boxEven rectangular shape. Having completed only a few original accessories, you can start mastering more complex techniques, making decoupage boxes from under the shoes, decorated with protrusions. At the time of use, a fairly thick paper is used, not necessarily colored paper. 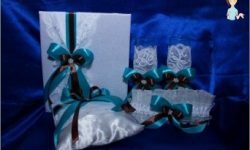 Excellent for packaging paper packaging with a variety of prints or designs. 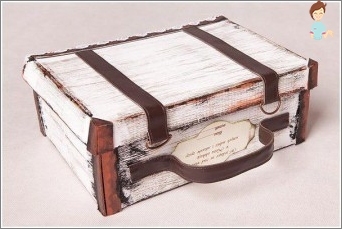 Decoupage is very beautiful cardboardBoxes, if you use corrugated napkins. However, this is a very delicate material, which easily breaks with gluing. Therefore, in the absence of proper experience, it is recommended to glue only a piece of cardboard with napkins. Cardboard and paper are fragile materials thatTime easily fade and become dirty. Therefore decoupage boxes should be fixed. In most cases, the surface of the improvised accessory is covered with varnish or PVA glue. However, these compositions also have disadvantages. Lacquer can give yellowness, muffling saturated colors, and PVA glue is also short-lived. When using the adhesive surface to processYou need at least 3 layers, each time waiting for the glue to dry completely. 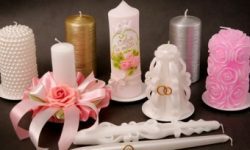 You can buy a special adhesive for decoupage, which is guaranteed not to spoil the color scheme and for a long time will preserve the appearance of the product. When sticking paper, do not use a largeVolume of glue, as the paper will soak and deform. 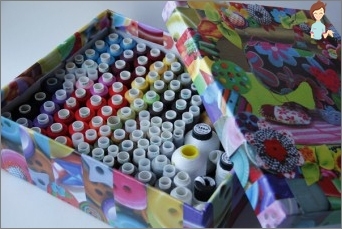 Having mastered a master class using paper, you can proceed to a more complex stage and try to decorate the box with colorful fabrics. After decoupling cardboard Paper boxes And napkins, you can use the receivedSkills in the design of a wooden box. Such a product, often, plays the role of a box designed to store wine or original packaging for a valuable gift. If a wooden product is presentAny fittings, it must first be removed. I must say, the master class of decoupage of a cardboard box is much easier than the design of a wooden box. It will take patience to get a good result. Using prepared stencils, on a woodenDrawers or drawings are attached. At the final stage, the accessory is covered with a spray of paint with a toothbrush and fastened with the necessary fittings. Now it remains to cover the surface with 2-3 layers of acrylic lacquer. The inner part of the box is best treated with stain. Buying, for example, ice cream in plasticContainer, do not throw away the container. 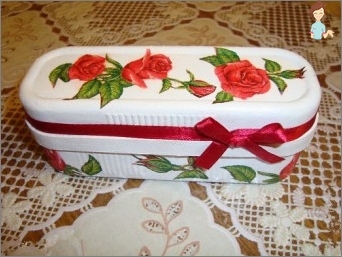 You can make a decoupage of a plastic box, having received a beautiful package for coffee beans, tea leaves, jewelry or sweets. Coffee beans are glued along the rim of the box, filing their edges for better grip. The container is varnished. Using general recommendations, eachThe master will be able to choose a technique that he likes. Adding a little imagination, anyone who wants to turn a simple box into a refined accessory, complementing the design of the apartment.